Abhijeet Mukherjee posted a screen shot on Twitter of Google testing a split view interface for multiple languages in the mobile search results. I believe in India, having this split view can be very helpful for the average searcher there. Most of those who live in India speak both languages well, from what I understand. 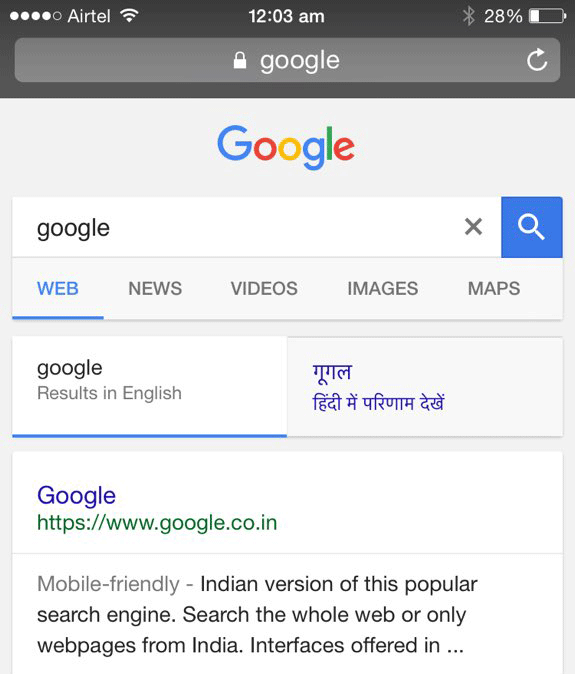 Abhijeet said, "Google showing search results in English and the native language, in a tabbed interface." Yes, I do think this is new but most of my searches are done in English in the US, so it might be old.